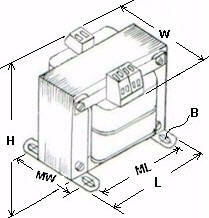 600VAC step down control transformer to industry standard secondary voltages or customizable upon your request. Power Rating 25VA to 1500VA. Voltage regulation exceeds NEMA standards.